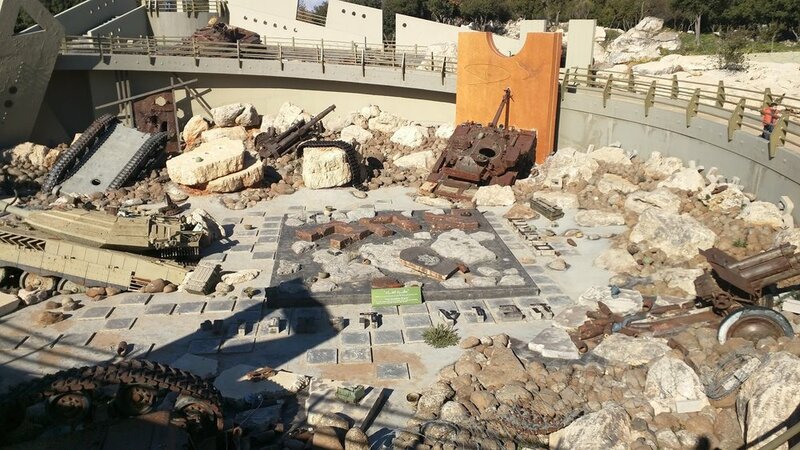 The Mleeta Resistance Tourist Landmark is a war museum and theme park erected by Hezbollah in 2010 in celebration of the Israeli withdrawal from the south of Lebanon. On site, the pacts forged between Hezbollah and its subjects are played on repeat. “Pact” assumes the existence of two parties coming to a formal agreement but this delineation between the Party and the visitor is, at least in form, dissolved in form at the Landmark. Distinctions between fighter, party member, supporter, and visitor become obsolete as everyone is let into the deepest of the party’s subterranean enclaves. The strategy employed in constructing the user experiencer relies on a rapid succession of spaces that vary greatly in ambience, size, height, sightlines, allowed number of people, and induced user affect. At the start of the tour, the multipurpose hall presents a magnetizing mélange of sermons given by al-Sayyid and a montage of Hezbollah battles and claimed victories in the visiting group’s language of preference. 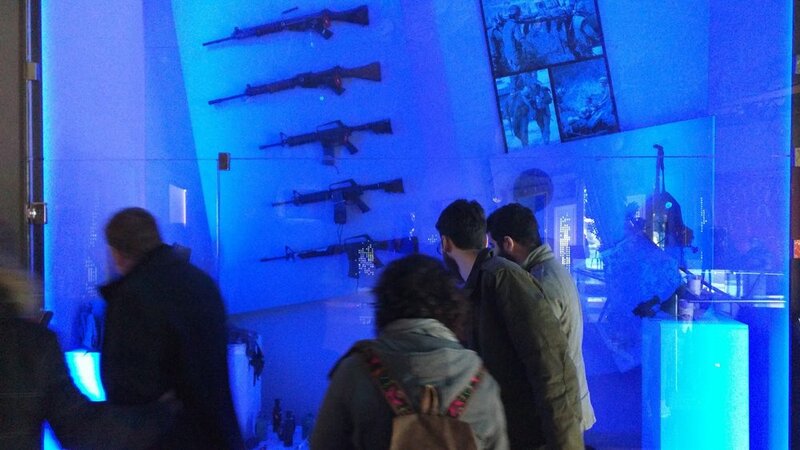 Emerging from the darkness of the hall, you are welcomed into the exhibition where a curated and manicured collection of Hezbollah paramilitary artefacts and paraphernalia, along with their IDF equivalents as spoils of war. The crescendo of spaces passes culminates in a circular promenade ominously dubbed "The Abyss." Here, Party propaganda reaches its peak and IDF objects are demoted from spoils of war to heads on spikes. Merkava and other artillery are shown ravaged by war, upturned and facing their creator, their canons visibly vasectomized. From there users may either delve into the subterranean tunnels of the former war site (where she is reminded that even Hezbollah’s style of war is a performance of the counterhegemonic underdog) or climb a monumental staircase that leads to an observatory of the Landmark and the pastoral landscape beyond. Again the indebted visitor is reminded that the rolling hills only fall on the correct side of the border by grace of the Party's efforts and military. But this effort is now shared and the Party’s battles become inclusive to all. Donation boxes abound on the complex, and the visitor is an active contributor to the conditions underlying the many victories which the captured Merkavas and their knotted phalluses bear testimony to. The author performs a militant masculinity at the Landmark. The Landmark’s location on a former, pre-2000 border with Israel is a central aspect of the narrative deployed in the architecture. The concept of the borderscape has been applied to Mleeta  to try to understand this counter-narrative that stresses Hezbollah’s role in transforming and re-bordering the limits of the Lebanese state, further proof of the Party’s military prowess which has been proven against the Israeli enemy, rivaling that of the state which is historically seen as absent in the South. Ultimately, the Mleeta Resistance Tourist Landmark exists as more than just a physical embodiment of Hezbollah’s discursive tactics. As a multi-purpose venue erected by the Party, it qualifies as a cultural and aesthetic extension of its social welfare programs. Subsequently, it is not so farfetched to conceive of Mleeta, a cultural landmark established by a political party, as being not so different from the worldwide host of cultural programs, institutions, and Foundations established by private corporations with their respective architectural gems such as the Louis Vuitton Foundation in Paris or the Fondazione Prada in Milan. If we disregard the obvious differences in activity, target demographics, aesthetics, contemporaneity, and international relevance, we may discern that both serve to further the expansion of an non-state actor’s interests by means of cultural and architectural production, and this will be further discussed in the section that follows. The extra-state descriptor is applied to the Mleeta Landmark due to its status as an ideological artefact belonging to a political party that engages in strategic activities that are not merely “state-centric” and go beyond gaining power in parliament and government. These activities include the maintenance of a standing army (whose canonical victories the Landmark commemorates) and the provision of a network welfare and other services (which the Landmark may be considered a part of). In the case of the Aïshti Foundation, what can be said of it also applies to the general Foundation model, which has been touted as a viable heterodox replacement to the national-museum model. The reasoning behind establishing a Foundation runs the spectrum from elevating public image via association with the art world, to legal tax-breaks resulting from the establishment of a philanthropic organization, to purported tax-evasion schemes and money laundering. It is these material aims at the end of the spectrum that are here considered extra-state in their divestment from public monitoring and taxing on funds, along with the perceived outdating of the conservative national museum. An analogy may be drawn between the border conditions of the two buildings, and their respective sitings on the metaphorical limits of the nation-state. 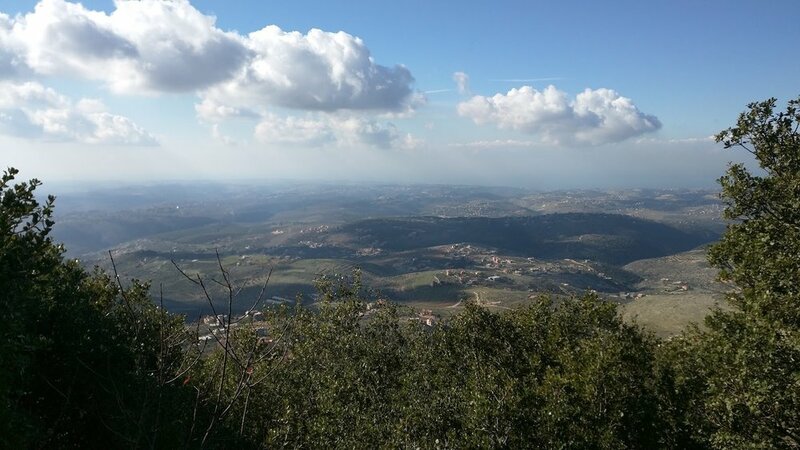 The Mleeta Landmark is located on a former frontline separating Israeli-occupied territory from sovereign Lebanese land. This choice of location questions the role of the Lebanese state and its army in constructing its own border and asserts Hezbollah’s contribution to the bordering process. Mleeta’s location on a former border is in contrast to the Foundation’s which is located quite literally on a current border: the coastline. This fact is lettered in neon on the building façade in a hedonistic declaration of geographic entitlement: “You belong by the sea.” This phrase and the seaside qualities of the venue and its associated mall and restaurant are frequently re-iterated in advertising visuals, conjuring images of a maritime cosmopolitanism and a concomitant lifestyle of luxury and high culture. Here, we may draw a further parallel between this unlikely pair and a previous unlikely pair: the Temporary Autonomous Zone and the Special Economic Zone. 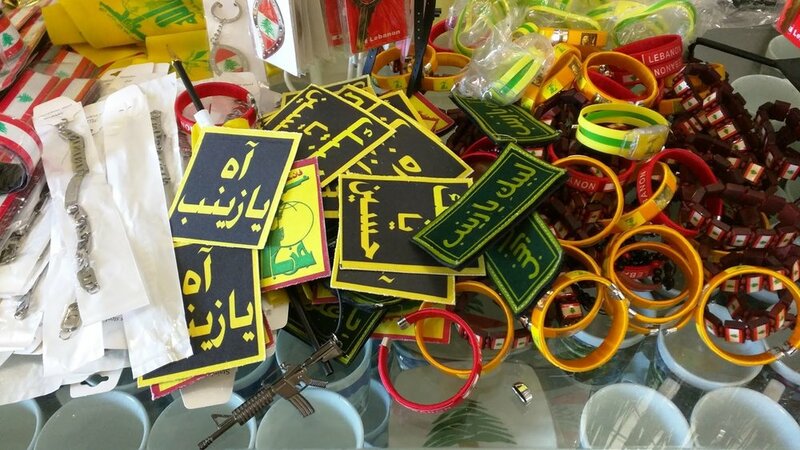 On one end, Hezbollah ideology breaks out of the nation state and into enclaves of autonomy, forming pockmarks of TAZs in the fabric of its mother country. Aïshti, on the other end, as it seeks to break out of the nation-state cultural model onto a globalist cosmopolitan utopia through its establishing of a foundation dedicated to international contemporary art, is not so far removed in its ends from the Special Economic Zones, art freeports, and duty-free art. The malls look out onto a vast seaside swath of prime real estate, hardscaped and softscaped, where a rendered sun is always setting. If you happen to choose a path from the Abyss that is not your desired path, you are to return to the Abyss and circle around the Merkavas 33 times, the same number of days in the 33-day war that the Party won in 2006. We belong by the sea. We hope you will find the suitable space in a fitting color and size. The environment is still rendered in sunset but is now a more dusty and foreboding kind of sunset. You are invited to a communal game of extreme paintball. 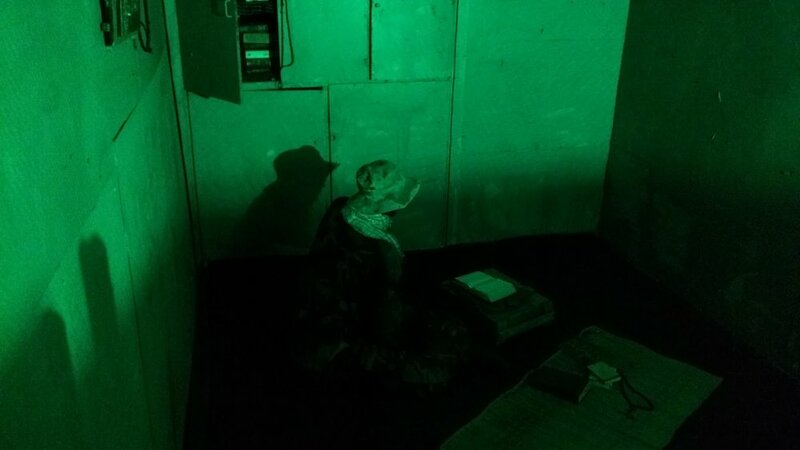 In teams, you will simulate a round of underground guerrilla warfare in the same subterranean tunnels where brave soldiers once fought. The game plays out as a race between teams or individuals towards the Freedom Field and subsequently to the Foundation. The winning team receives a portion of the participation fee as a gift card to be used at the Foundation. After each round, the stained garments of the players are collected and purchased with the gift cards. In her book Compassionate Communalism, Melani Cammett demonstrates the importance of the urban and architectural embodiment of welfare programs implemented by Lebanese sectarian players, in their pursuit of both state-centric and extra-state ambitions. Temporary welfare programs that are in synchrony with parliamentary or municipal election seasons are seen by voters as politically opportunist regardless of whether or not they contribute to election wins. Conversely, according to Cammett, programs in the form of built interventions housing long-term operations (hospital, clinic, school, vocational training center) contribute to building a party’s image as concerned protector and purveyor of services not otherwise provided by the state, and hence as functional prosthetic to, if not a partial replacement of the state’s welfare infrastructure. An architectural program is thus wielded to serve a political program aiming for greater state power, and/or extra-state ends. The geographic locations and urban configurations of these agencies are determined by their respective target populations, often local communities of homogeneous religious backgrounds and socioeconomic classes. The recently inaugurated Kataeb Museum in Jounieh is quite literally crowned with a ship doubling as a rooftop terrace and canopy. I am assuming the ship is in reference to /our/ Phoenician forebears, famed for their masterful maritime trading, purple dyes, and all-around utile legacy which is summonable when debates degenerate into conflicting founding myths. One may also trace a mild air of militarism in the headpiece which does evoke a minor battleship. All in all, the museum sits nicely in its residential context; a simulacrum of Christian right-wing authority over the Jounieh bay. A case study of one of the Hariri Health Foundation agencies illustrates the contingencies that these welfare projects are subject to. Information about these institutions is difficult to obtain from formal sources and so one has to resort to unofficial sources and interviews. The case study involves two community health centers belonging to the Hariri Health Foundation in the Ras el-Nabaa and Tariq el-Jdide neighborhoods in Beirut. Ras el-Nabaa is a mixed-religion middle-class neighborhood, home to a sizeable Sunni population; Tariq el-Jdide is a lower-middle to working-class Sunni neighborhood, historically in favor of the Future Movement. Recently, perhaps in large part due to decreased funding linked to worsening financial conditions of the Hariri family, the center in Ras el-Nabaa ceased operations. At the time of writing, a note still available on the ground floor of the center’s building indicates that it has moved to another location in Tariq el-Jdide. What the note’s phrasing conceals is that the Ras el-Nabaa center had in fact closed down rather than merely relocated, as the Tariq el-Jdide center had been operating at the same capacity before the supposed move. The Tariq el-Jdide center is actually part of a larger campus of Hariri welfare institutions including a vocational and technical school conveniently located in a strait between two underprivileged neighborhoods: Tariq el-Jdide itself and the Sabra Palestinian camp. An interview with a Ras el-Nabaa resident who had been a former user of the center reveals that he would not be inclined to seek services from the Hariri Health Foundation at the new location. This particular case reveals the strategic reasoning and prioritizing employed in the siting and funding of welfare agencies by Lebanese sectarian parties, vis-à-vis the weight of their projected political gains depending on the target neighborhood’s religious and class makeup. In this particular case, the service provided, one related to everyday health consultation and imaging, is one that is a viable alternative to the user only if it is available regularly and in close geographic proximity. It is also one that relates to basic human health and biological necessity. If we extend the limits of what is traditionally considered an ontological project to include welfare programs and organizations such as this one, then we must problematize further the ethics and limitations of ontological politics. Even if we wish to speculate on potential alternatives to state structures, perhaps we must not do so by invoking a target subject’s lack of access to services that guarantee basic human rights, no matter how troubling we may find the rhetoric of the human right. Any isolated ontological project  or any “politics of the act”  that attempts to premise itself on a lack in such basic services runs the risk of reifying that lack and becoming an enterprise based on exploiting a weakened political subject. This is to say that these politics of the act are not simple alternatives to “politics of demand” that directly address a state’s shortcomings and demand that said shortcomings be corrected, top-down. In cases where sizable chunks of population do not have access to basic infrastructure, a politics of the demand might be more attuned to the urgency involved than a politics of the act whose scope most often remains limited in capital, geographic distance, and resources. While studying non-state groups’ power tactics through their providence of services that relate to health and the biological in Lebanon, it seems fitting to extend this study to include those that relate to death, mainly funerary/burial processes, rituals, and the management of cemeteries. Although these are largely headed by religious non-profits such as the Makassed Philanthropic Islamic Foundation or church-affiliated organizations, in many instances they are implicated in operations and with organizations that fit more traditional definitions of the 'political' at a national level such as embassies and political parties. This is especially the case in urban settings, where higher land prices, population density, and thus higher burial prices contribute to making cemeteries sites for legal and political maneuvering over prized territory. In 2012, the Druze cemetery in Beirut, part of larger property No. 2046 which includes a public hall and the Sheikh headquarters, was the object of a legal dispute between the Druze Charitable Solidarity Association on the one hand and the Spiritual Council and Bankmed SAL on the other. The dispute involved the Spiritual Council and Bankmed’s hastening of the legal process pertaining to ownership of property No. 2046, which would ultimately involve transferring the cemetery to another location in preparation for the erection of a tower block. Had property No. 2046 not contained a cemetery, the legal proceedings around it may have transpired on a level that does not directly concern the Beiruti citizen, Druze or otherwise, who could have easily relegated it to the vast plain of everyday sectarian gray noise. However, the inclusion of the cemetery, which also happens to house the remains of national martyrs executed by the Ottomans in 1916 and commemorated on May 6th yearly, puts private interest in a tight arena with the common good, the brave departed, and the national imaginary. The case is an exercise in the potential ramifications of the Waqf system, which refers to property owned by a non-profit religious organization or charity, with the added dimension of the property being a cemetery and thus imparting on Waqf land more perceived public entitlement. One case study foregrounding constructions of national and religious identity at play in death and burial is one belonging to a diaspora community on Lebanese soil: the Anglo-American Cemetery of Beirut. The current cemetery in Furn el Shebbek was founded in 1914 as a joint stock company between the British Consulate, the American Missionary Organization, and the predecessor to the American University of Beirut, the Syrian Protestant College and is a descendant of the “Beirut Burying Ground,” founded around 1826 near the current National Evangelical Church in Downtown Beirut. A subject who is key to this particular case study is the individual asserting or aspiring towards a transnational identity, from either side of the porous membrane encapsulating the space of the British/American identity. Throughout the cemetery’s history, various individuals and families of Lebanese, Arab, and Armenian descent saw in it a postmortem space that conforms to and reaffirms their lived identities, often as an extension of their religious affiliations (Protestant). If we adhere to the idea that the construction of any identity is a repetition of lived performances and acts, then we may see in death a final performance or act that is of high stakes, where that construction might be severely undone or further solidified. A particularity that is not exclusive to Lebanon but is specifically noticeable in the country is the relationship of the urban dweller with her village of origin and consequently her final resting place. In Beirut, the majority of residents are not registered voters in the Beirut municipality but in villages and towns across the different districts. Although these villages and towns may go unvisited for long stretches of time, standard procedure at death includes an Odyssean return to the land of origin and this usually continues despite several generations of removal since the time of the migration to the city. Place attachment and symbolic weight aside, material reasons such as infeasibility of burial elsewhere, lack of public cemeteries, and familial expectations, prevent individuals, residing both abroad and in the country, from going through the effort of exchanging a burial place/practice that does not reflect their lived identities. A final stroke of family decision-making engraves a tombstone regardless of the deceased individual's wishes. 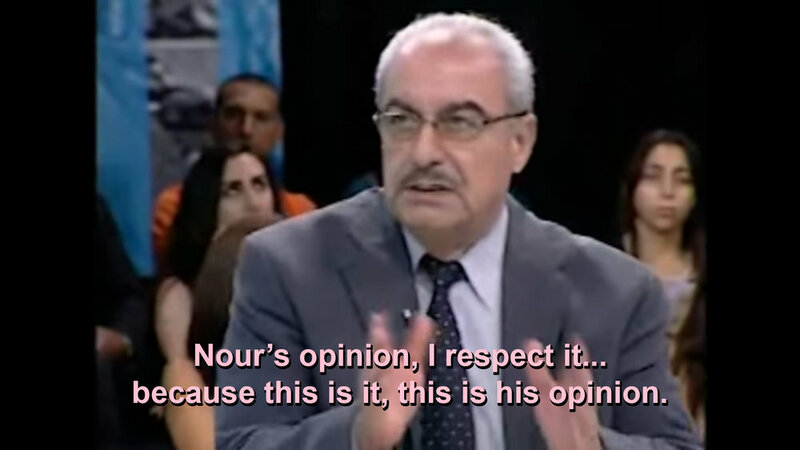 Such was the case of Lebanese civil and human rights activist Nour Merheb, who committed suicide in 2011 and demanded to be cremated, re-iterating both an ardent atheism and a commitment to secular values in his death note. Following the event, and discounting the deluge of perennial misconceptions about suicide, mental health, and agency, much televised spectacle revolved around the deceased’s decision to be cremated. When questioned about the family’s refusal to concede to these wishes, one of the family patriarchs is on record saying that even though he personally respects the decision, “we are in Lebanon, and in particular, in Akoura.” This resort to a reassertion of locality, a staple of the conservative’s playbook, serves to reify a set of beliefs and practices in relation to a given context due to either a pragmatism that concedes to the dominant practices (‘we would like to be progressive, but everyone else is not ready yet’) or a more confident disavowal of a new practice due to its non-compliance with an established identity (‘this does not reflect us’). Whatever the rhetoric around the decision to deny Merheb his wish to be cremated, it remains a material reality that cremation services are not publicly available in Lebanon with the exception of a minor cremation facility in the American University of Beirut which is reserved for specific legal and medical cases. Cammett, M. C. (2014). The Political Geography of Welfare and Sectarianism in in Compassionate communalism: Welfare and sectarianism in Lebanon (pp. 85-114). Ithaca: Cornell University Press. 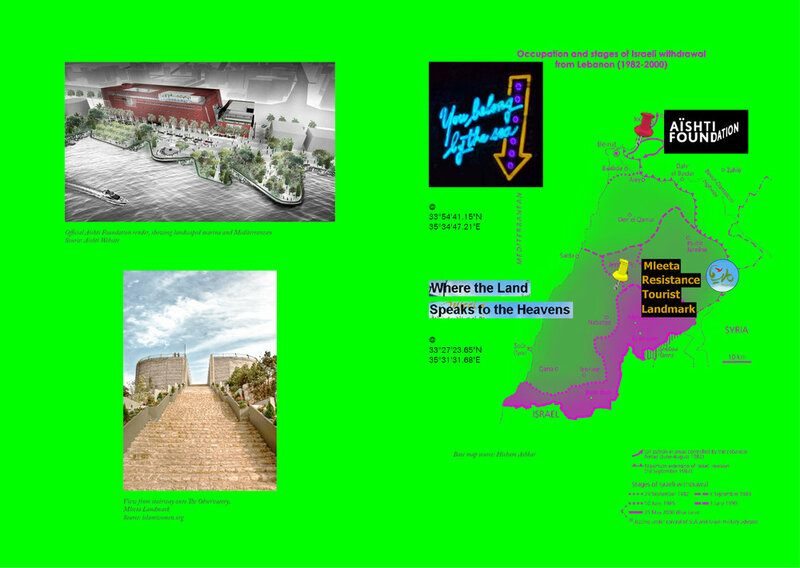 Meier, D. (2015) From Frontline to Borderscape: The Hizbullah Memorial Museum in South of Lebanon. Chiara Brambilla, Jussi Laine, James Wesley Scott, Gianluca Bocchi. Borderscaping: Imaginations and Practices of Border Making, Routledge, pp.77-86, 2015, 9781472451460. Lindner, C. (2012) Resting in Piece: Identity Construction at the Anglo-American Cemetery of Beirut. University of Balamand.